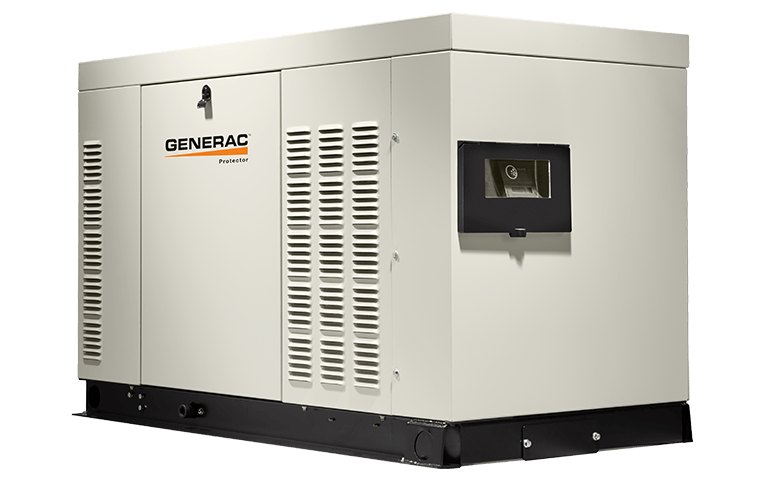 Keep your power and the peace with this 22kVA 50Hz generator. Packing a lot of power into a smaller footprint with less noise, ideal applications include larger homes, gas stations, convenience stores and other small businesses. Powerful low-speed, liquid cooled engine is engineered to run at only 1500 rpm for a substantially quieter generator, consuming less fuel and giving both the engine and alternator a longer life. Packs more power into a smaller footprint than air-cooled models. Quiet-Test™ mode for a weekly self-test. Programmable feature validates proper operation. Runs at lower RPM for reduced noise, less fuel consumption and fewer emissions.